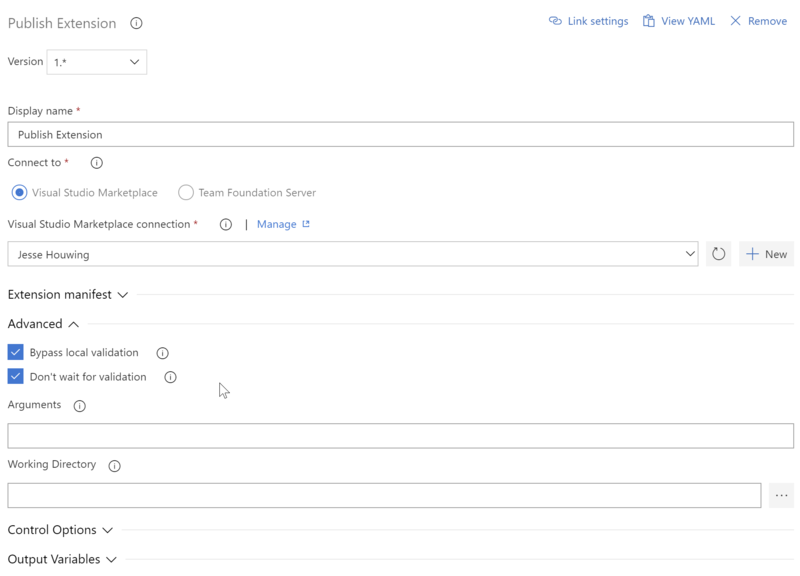 Change the category of your extension in your extension manifest from it's old name to the new names:Azure Repos, Azure Boards, Azure Pipelines, Azure Test Plans, and Azure Artifacts. After changing your import / require statements, all the existing functions should remain operational, unless you're upgrading from a very old version of the vsts-task-lib. Use Bypass local validation if you're on an older version of the Azure DevOps Extension Tasks. I've just upgraded my first task, the Snyk Task, and you can see all the changes here. I've done a bit of refactoring in this release as well and the old name has mostly been eradicated. The only thing I'll be stuck with is the Extension ID, all of my extensions have vsts in their ID and there is no way to get rid of that without breaking all my users.